Aero the Acrobat (Sega Genesis, 1993) Cartridge Only! SEGA GENESIS * AERO THE ACROBAT * 1993 CARTRIDGE IN EXCELLENT CONDITION! 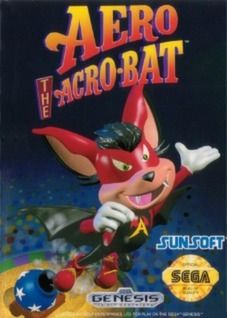 AERO THE ACRO-BAT [ Sunsoft ] Sega Genesis US NTSC!! Works 100% Clean & Tested !